Can be used as a standalone product or integrated with other Troika modules for a complete private client solution. Investment in software must produce time and cost efficiencies and Troika does everything we need it to do. It is very intuitive and easy to navigate and gets you where you want to go very quickly. As a Court of Protection solicitor, we understand that the most important aspect of managing Deputyships to you is spending time with your clients, not completing paperwork. Troika will release you from your paperwork so you can invest in your clients. From COP form completion to a visible reduction in bookkeeping errors, Troika gives you back client time. It will help you handle every aspect of Court of Protection work, yet is straightforward and simple to use. It will free up your time from repetitive tasks, giving you the time you need to develop valuable relationships with your clients and their Deputies. 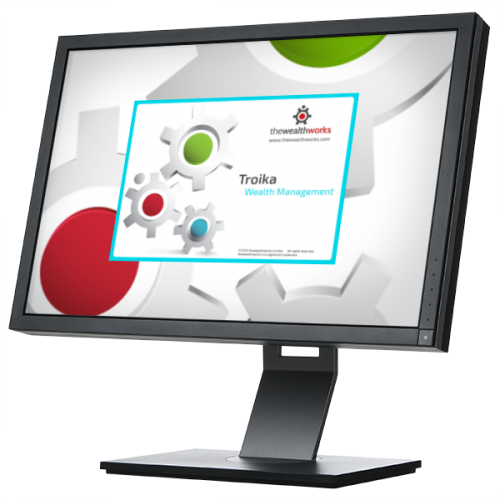 Troika will save you time – making you more efficient, more productive, more profitable. You will complete forms and letters efficiently, with fully automated completion of the main Court of Protection forms and OPG forms directly from the Troika database. It links to standard Deputyship letter templates and can quickly generate asset summary Deputyship reports. It can export letters directly into Microsoft applications using built-in COP templates, to ensure that every letter you produce is automatically produced in the correct format. Troika gives you the flexibility and processing power of Microsoft to quickly modify letters and reports. Troika will help you maintain accurate records and reduce the risk of errors in bookkeeping. It allows you to accurately manage regular payments, receipts, benefits and any other form of income. It will help you to keep track of all the assets and liabilities for each client. You will be able to efficiently reconcile bank statements against the Deputy’s account. Troika is a simple yet comprehensive solution that allows you to see all the information you need in one easy to navigate system. Troika stores a wide range of information, including all client details, relationships, Deputies and relevant contacts. You will be able to intuitively navigate through the Deputyship accounts to review data. It can also maintain a register of powers of attorney and produce related reports. Troika helps you manage your time. You can keep track of key dates and stick to important deadlines with the diary and workflow tool. You can build a tailored workflow for each case – assigning tasks with specific actions to any user. It allows you to produce reports to review the progress of any case, at any time, to assist the Court of Protection Deputy. © thewealthworks · 2019 · All rights reserved.